Homme Models: Tyson Beckford: Who Will Be The Next? 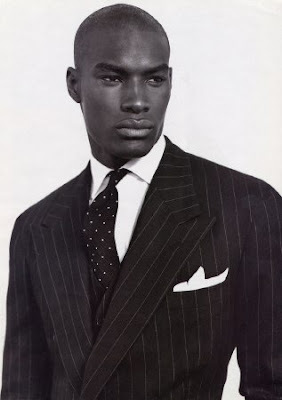 Tyson Beckford the top male Supermodel of all time. There is no one model that even comes close to him, in over a decade. So I ask who will be the next? It's hard to tell with the amount of black models in the industry today. Tyson himself says that that's a big problem in the fashion industry. And that he is going to do all he can to make it better. So the big question is WHY? Why are agencies not picking up more black male models? The question remains unanswered. Tyson was indeed a top model in his time, however many current models have surpassed his fame, such as Tyson Ballou, Gabe Aubrey, and Brad Kroenig. Tyson had the name recognition at that time, however, but these guys are more prolific in their editorials and campaigns. Thanks for giving Tyson his due, though.